After Ahmedabad satsang spiritual master Pujya Deepakbhai went on a small 3 days trip with sevarthi mahatmas of Ahmedabad to Mount Abu. All mahatmas (followers) got one to one touch with him. They visited Dilwara temple and had a small satsang over there. 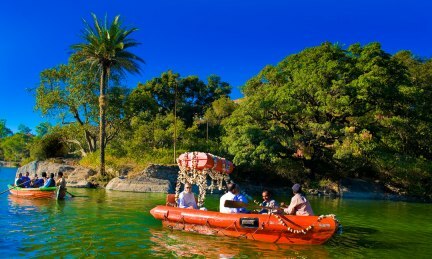 All mahatmas did boating in nakki lake with Pujya Deepakbhai for one hour. His boat was specially decorated with garlands. All mahatmas were having great fun with Pujya Deepakbhai. In the evening after dinner there was a garba session in presence of Pujya Deepakbhai. 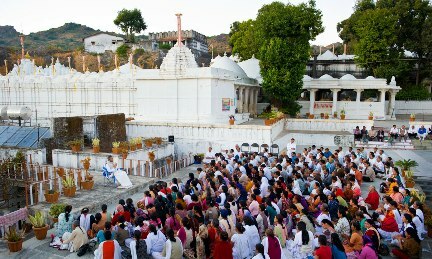 There were about 400 mahatmas for satsang. All got special blessings and got a chance to come close to Pujya Deepakbhai.